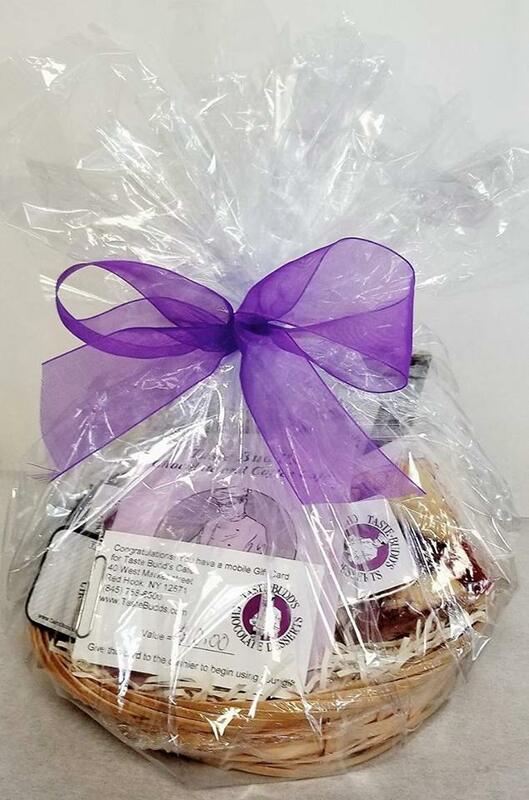 Sure to put a smile on anyones face this small gift basket contains sample treats from Taste Budd's Cafe, and is designed for someone local to our cafe. 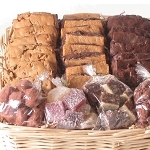 1 fudge brownie, 1 raspberry cobbler bar, 1 tin of Taste Budds mints, 1 64% Dark Chocolate bar, 1 Chocolate Peanut butter cup. 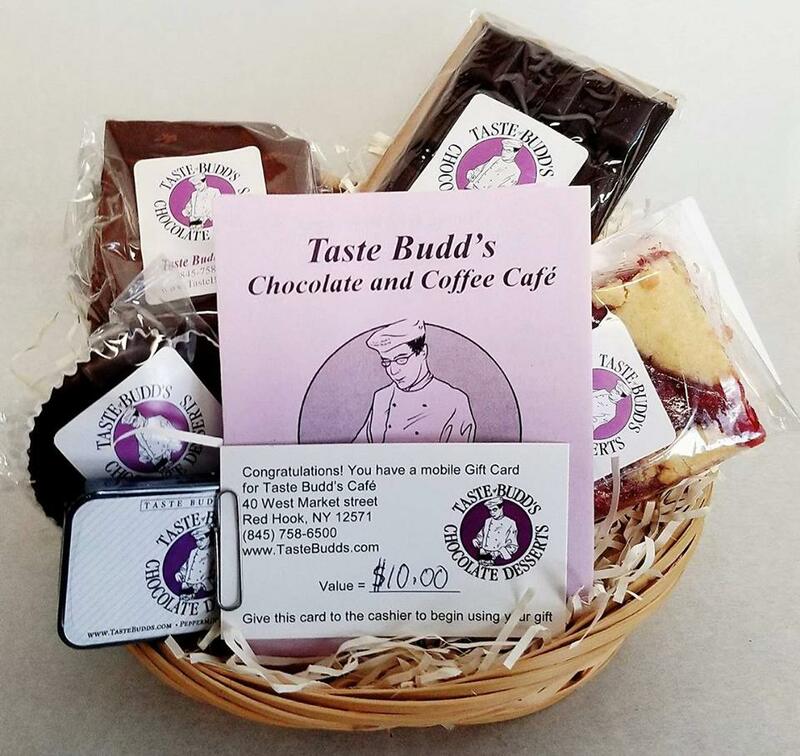 1 $10 Gift Card to Taste Budd's Cafe. (Similar items may be substituted as our menu selection changes).